An electronic retailer based in Germany is to roll out 10 million interactive NFC shelf edge labels to some 1,000 stores across 14 countries next year through a contract with Imagotag, a subsidiary of electronic shelf labels suppliers Store Electronic Systems (SES). The retailer has not yet been named. “With a total estimated value of US$105m (€98m), the contract follows a first phase of rollout in Europe which was awarded earlier this year to SES-Imagotag,” SES says. “The installation in 14 countries is due to start in Q1 2016. 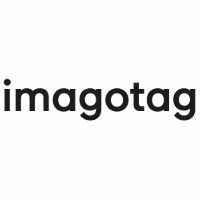 “Our client did full scale pilot installations with all the leading ESL manufacturers before choosing SES-Imagotag as its exclusive partner for this unprecedented large scale rollout,” say Thierry Gadou, CEO of SES, and Imagotag founder Michael Moosburger. French supermarket chain Intermarché installed NFC electronic labels supplied by SES across its Issy-les-Moulineaux Paris store in March this year, following in the footsteps of E Leclerc which rolled out SES NFC electronic shelf labels to six hypermarkets in June 2013.